Time to update your browser! The OmniPad™ is the first omnidirectional treadmill that uses a moving tread, just like a conventional treadmill, except you can safely walk, run or jog in ANY direction. Wearing virtual reality display glasses, The OmniPad™ lets you maneuver in any direction through 3D terrains, military training scenarios, rehabilitative virtual environments and video games. 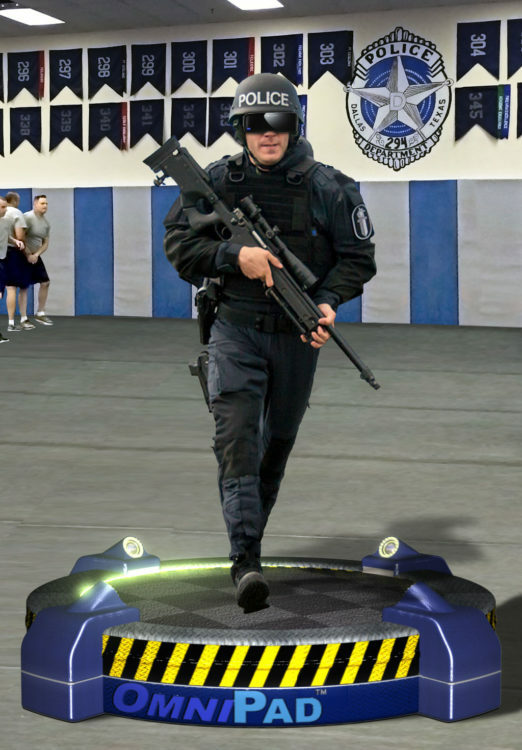 The OmniPad™ has significant applications within the world of military and police force simulator training. 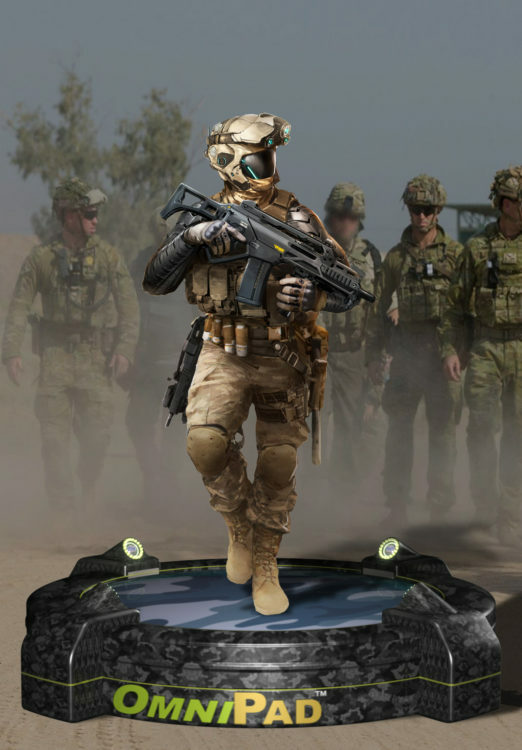 The OmniPad™ will enable trainees to maneuver in any direction through 3D realtime virtual environments as they practice their fighting skills. Multiple OmniPads™ are able to be interconnected locally in the same training facility, or over the Internet for group-based training. The OmniPad™ is wireless, and it is compact enough to be used in places where training space is limited, such as on submarines, destroyers and amphibious ships. Imagine taking a stroll on the moon, chasing a dragon through a medieval castle, shopping in a mall from the future, or running with gazelles on the Sahara Desert... right in your own living room! The OmniPad™ will let you do all of this, and much more. 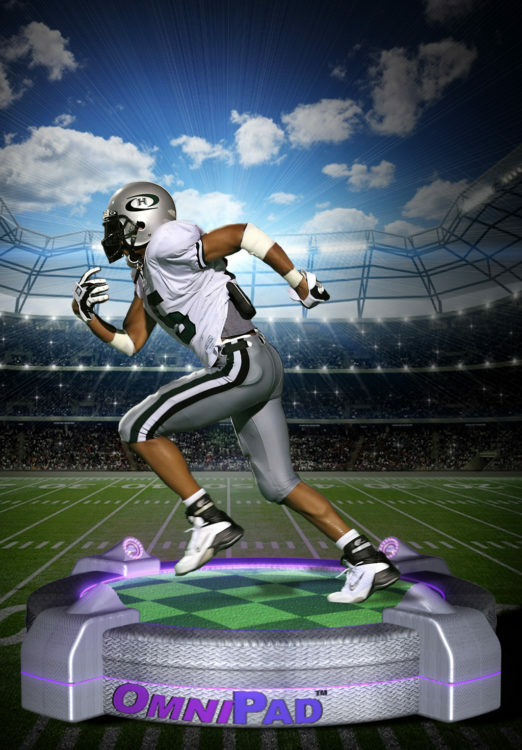 You do not need any special shoes or special apparel to use the OmniPad™. It also has a moving tread locomotion surface, just like regular treadmills, except you can walk, jog, or run in ANY direction. Because the OmniPad™ uses an actual revolving tread, the user’s locomotion is very safe and very natural; just like walking or running in any direction on the normal ground. For the past several months it has been my pleasure to serve as consultant and counsel to OmniPad, Inc. During the period between 1997 and 2001 I served in several senior positions within the Department of Defense, including Acting Under Secretary of Defense for Personnel and Readiness and Acting Assistant Secretary of Defense for Reserve Affairs. During my tenure at the Department of Defense my responsibilities included oversight of training requirements of active and reserve military forces. Members of my staffs concentrated their efforts in the area of training simulation programs and I became very interested in advancing the technology in the virtual arena to effectuate more realistic training opportunities for our troops. It was for that reason that J became excited about the omni-directional treadmill concept being developed by OmniPad, Inc. Because of my interest, I agreed to assist them in understanding the development/procurement process within the Department of Defense, including the military departments. 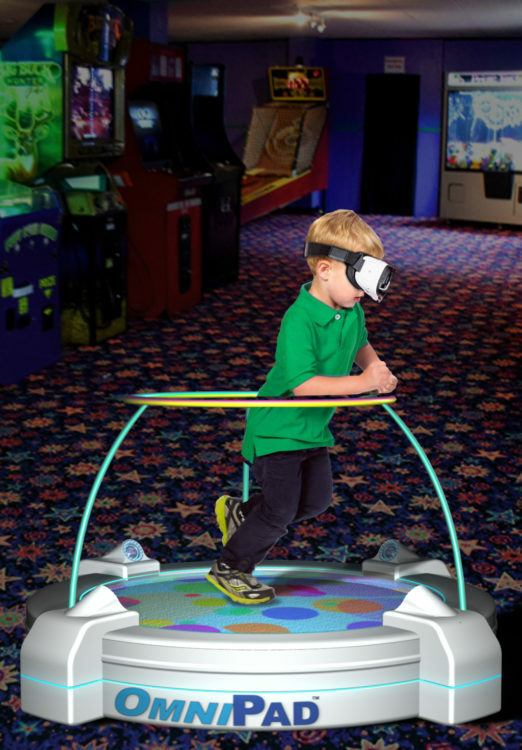 Mr. Neil Epstein, a distinguished and (EMMY) award winning animator, has patented his treadmill concept and is working tirelessly to bring his concept to the attention of officials responsible for the development of more realistic ambulatory platforms that can be utilized in a virtual environment. Achieve cardiovascular fitness while you are being entertained and motivated by the challenges of the life-sized interactive 3D scenes that are living within the OmniPad Environment™ exercise terrains. Imagine racing a life-sized 3D zebra, or a unicorn, through a fantasy OmniPad™ forest. Imagine taking a stroll along the sea floor, seeing and interacting with beautiful schools of 3D tropical fish and fantasy sea creatures that are swimming all around you. You will forget that you are actually exercising. 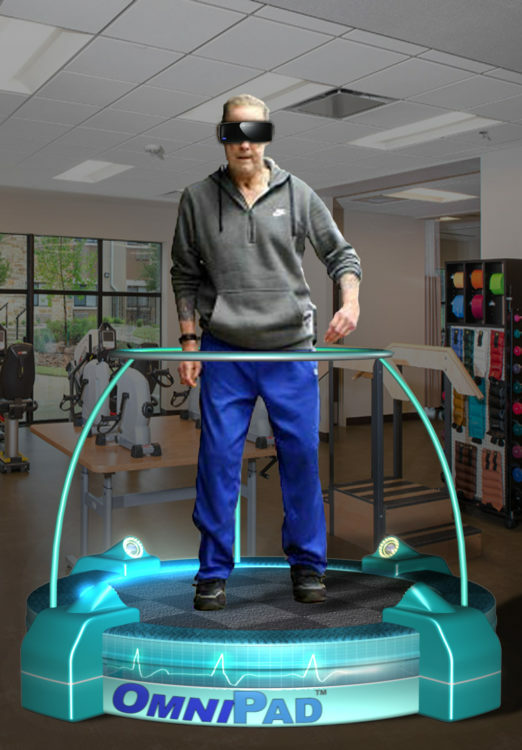 CARDIOVASCULAR REHABILITATION: Heart patients of any age will be motivated to enjoy exercising on their omnidirectional treadmills as they wander through their favorite 360-degree 3D OmniPad Environment™. OCCUPATIONAL THERAPY: Stroke or accident patients, or military personnel who have post-traumatic stress syndrome will be able to practice common everyday tasks that require walking or running, while their progress is recorded and monitored on a session by session basis. Patients will be able to safely walk through life-sized 3D houses, grocery stores or office spaces, while their progress is monitored by the OmniPad™.